Anyone who has kept a blog for some time or who writes for a living has likely experienced that feeling of no inspiration. There’s absolutely nothing left in the tank – even all the rubbish ideas have been used up and you are left feeling unmotivated. It is at this point that sometimes blogs can get abandoned, as constantly thinking up new ideas is hard work and tiring. My first stop when I get to this stage is usually Google News. Just having a read through some of the top stories can trigger a hook to link one to the theme of your blog, and if you optimise properly, you could even get on top of some of the traffic for that particular story. It is easier said than done, however, and there aren’t always big stories around that are relevant. 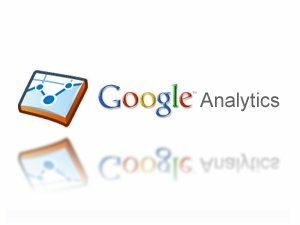 What I prefer to do is rely on Google Analytics to work as my inspiration on those uphill days. Chances are you will be getting some longtail traffic in to your blog. If you aren’t, you may need to work on your blog’s optimisation a bit before this technique is useful. By scrutinising your longtail traffic and understanding the terms people are actually using to reach your blog you can get some innovative ideas as to areas to plan your next blog posts around. So to look at longtail traffic in Analytics you need to go into the Traffic Sources -> Keyword report (or Traffic sources -> sources -> search -> organic if you are using the hideous new version of Analytics). Go to page 10 of referring key terms and have a poke about to see what’s in there. Chances are there will be some quite interesting terms. For example, a quick look at a random sample of my referring key term report reveals that there could be good mileage in blog posts about cartoon audio effects, music for schools, thunder sound effects and tire skid sound effects. These base ideas can be expanded into popular/entertaining/ interesting topics – best cartoon sound effects, most impressive tire skids in films, top 5 thunderstorm scenes in films, teaching with music in school. Sometimes you hit the jackpot and come across an idea that can be extended into a series of blog posts. The joy of using this technique is as your blog grows stronger and starts ranking better for more longtail traffic, you will get even more inspiration delivered straight into your Analytics. Obviously you do need to continue using your own ideas to mix it up a bit and keep on top of trending topics but I highly recommend Analytics for those slow days.